5sails has been connecting our friends with sea for 7 years! 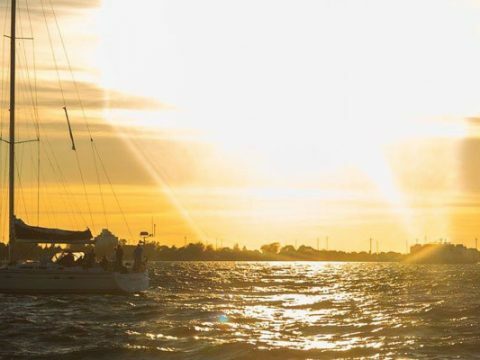 Sailing is our passion and our mission is to offer the best sea experience, which you can ever get in Estonia. High quality luxury yachts and professional team are here to ensure you get a top-notch service. We have the best sailboats – sailboats of different sizes are available to choose from. All yachts are company owned, in perfect condition, maintained with love and care, and have recently passed both Maritime Administration Department and independent professional surveys. All our boats are equipped with all necessary safety equipment. Our cruises take off at the best harbor – our home Old City Marina is located right in the city center. This is the best place to enjoy the stunning silhouette of our capital city. No standing in traffic jams, like on the way to other ports. Car can be comfortably parked right next to key. We offer the best service – tailor-made trips can be planned according to client’s wishes and size of the party. We can organize events for parties of up to 100 people. Nothing is impossible! Our clients’ satisfaction is our priority! Welcome onboard 5sails! Join us for a ride of your lifetime!